The UK housing market is incredibly difficult to navigate. When looking to sell a home, there are a number of essential property upgrades that are required to compete in the market. While the big projects, like changing your kitchen or bathroom, are incredibly important- they aren’t the only things that potential buyers are looking for. Selling a home will never be an easy feat, whether it’s a million-pound estate or a new development. Giving your property the wow factor is incredibly important, both to catch the eye of potential buyers, and to increase the overall value of your property. Many of the most effective property upgrades come in unlikely forms, something that is especially the case with stainless steel balustrade components. The benefits of fitting a balustrade that works with the design of your property are extensive. It is one of the best, but overlooked, ways to increase the value of your property. From the appeal of modern balustrade for roof terrace designs to the attraction of a glass balustrade for houses, we have put together our top 8 reasons why upgrading your balustrade is an extremely worthwhile idea. For modern buyers, a feeling of luxury is incredibly important. No matter what style of home you have, no buyer wants to feel like they are not getting the most for their money. Glass balustrades, in particular, give a sensation of luxury that few other fittings can compete with. It is vital not to overlook the primary purpose of fitting a balustrade- safety. Whether it is a staircase balustrade or a balustrade for roof terrace use, safety and durability are extremely important. Potential buyers with children or pets will pay particular attention to how modern and secure the balustrades are before even considering making an offer. Balustrades play an imperative role in sectioning areas of your home. This is especially prevalent for exterior balustrades. Creating a barrier between the entertaining space on a patio and the garden helps to give structure to the layout of a property. Glass balustrades for houses are fantastic for creating the illusion of extra space, a major benefit to houses in cities where space is highly desirable. In areas where a balustrade is essential, like on staircases, opting for a good quality glass can open the space up in a room. While many people change the décor when they move into a property, it is still often a very big deciding factor when choosing a new house. Whether your balustrades match your décor or not will play a part in the decision-making process of any potential buyer. Upgrading a few balustrade components to match your décor can really help to increase the appeal of a room or an outside space. Whether you opt for a traditional design or a modern finish, your choice of balustrade will play a bit part in the style of your property. Intentional or not, a balustrade can set the tone for a room. If you are marketing your property as traditional, wooden balustrades can be a very worthwhile investment. For modern properties, choosing a glass or metal finish will create a fantastic and appealing tone to a room. Design choices that create an initial impact are essential to attracting buyers and retaining their interest. A good balustrade can provide a focal point to a room, but can also be used to accentuate views. When choosing a balustrade for roof terrace use, glass can make a space really come alive, letting buyers reap the full benefits of the views from your property. Fitting a balustrade is an easy and affordable way to make a home much more desirable, both for buyers and for your family. Balustrades don’t just have to be a practical addition to your home, they can also be fashionable and trend-setting, something that will appeal to all types of buyer. Whether you are looking to sell your home now, or are preparing for the future, it will really pay off to give an extra bit of attention to the balustrades on your property. 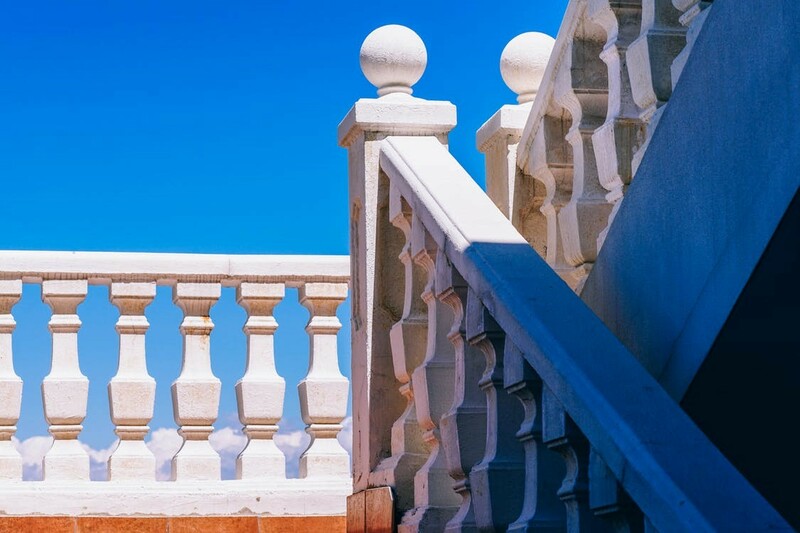 When trying to compete with other properties on the market, a good stand-out balustrade could make all the difference between a drawn-out selling process and quick sale.